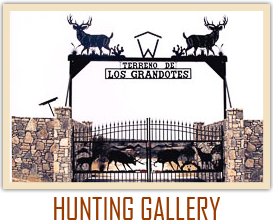 Rafter W Ranches lies in southwest Texas in the Sutton, Val Verde County Area. 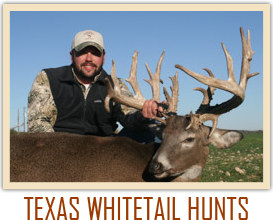 We hunt 28000 acres, all family owned and operated. Rafter W is a working cattle and goat ranch. 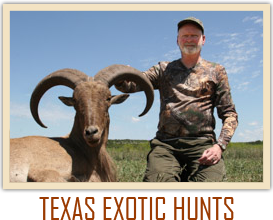 Our hunters experience ranch living combined with the hunt of a lifetime. The days and nights spent on the Rafter W will not only be Texas hunting at its best, but a relaxing vacation with excellent food and modern accommodations with all the convenience of home. Couples will share private quarters. Jack, Jesse, Trey, LaDonna, Chase and Jamie do all in their power to make this your best hunting trip ever.The whitetail deer and wild turkey are abundant. Our hunters for the past 34 years have enjoyed 100% opportunity on deer with a high success rate on turkey. Game are fed high protein feed year around to insure maximum antler and body growth.Book early to insure your hunt date.Look for Rafter W on Buckmasters and Primos TV Shows on The Outdoor Channel, TNN and OLN. 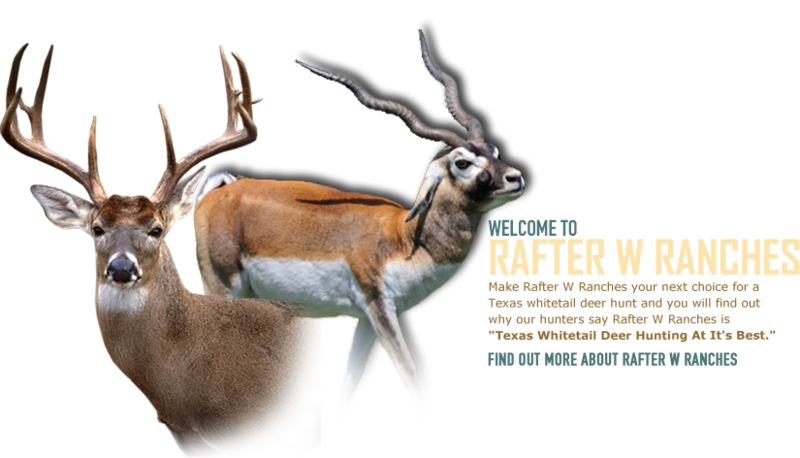 Read about Rafter W in Buckmasters Magazine.